"Macclesfield couple criticise Cheshire East Council over property deal"
The lead solicitor from Cheshire East who was sealing and signing all the documents, communicating with their solicitor and telling the freeholders to vacate as soon as possible was Amanda Timpany. 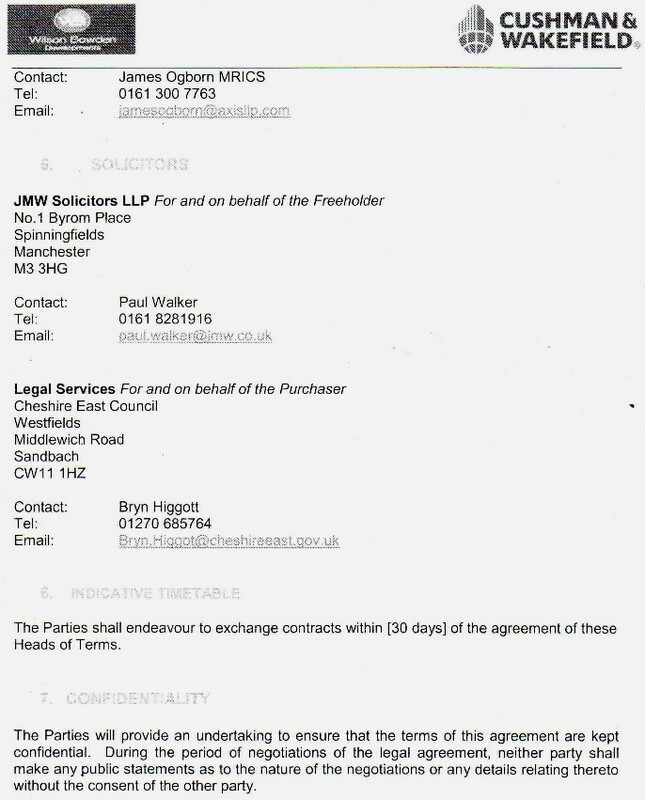 Mr Bryn Higgott then appeared on the scene, as a voice of Cheshire East Council, and would appear to have claimed that the council solicitor, Ms Amanda Timpany, never existed and that the freeholders had no deal; please bear in mind that there is a plethora of evidence suggesting otherwise. A condition may also be called a "control" on a regulatory record. Conditions are not findings of a breach of our Principles, but are a protective measure we take to control the work of a person or a firm. We impose conditions when we think it is in the public interest to do so. We can control the work of those we regulate by imposing conditions on their PC, registration or recognition. must not carry out a certain type of work." Mr Higgott is subject to Regulation 3.1 of the SRA Practising Regulations 2011 because of a number of matters including his suspension from practice by the Solicitors Disciplinary Tribunal for a period of two years in 2011. His period of suspension has now ended. (1) That he may act as a solicitor in in-house employment for a local authority, or in commerce and industry. In the event that he wishes to act as a solicitor in employment in a recognised, licensed or legal services body, he is required to make an application to the SRA for approval of this role. (2) He is not a recognised sole practitioner, sole director, manager or owner of a recognised, licensed or legal services body. In this condition "manager" and "owner" are as defined in the SRA Handbook Glossary 2012. These conditions are considered to be necessary in the public interest and reasonable and proportionate having regard to the purposes set out in Regulation 7 of the SRA Practising Regulations 2011 and the regulatory objectives contained in the Legal Services Act 2007 and the principles governing regulatory activities contained in section 28 of the Act." Mr Bryn Graham Higgott is subject to Regulation 3 of the SRA Practising Regulations 2011. 1) Mr Higgott may act as a solicitor in in-house employment for a local authority, or in commerce and industry. In the event that Mr Higgott wishes to act as a solicitor in employment in an authorised body, he is required to make an application to the SRA for approval of this role. 2) Mr Higgott is not a sole practitioner or manager or owner of an authorised body. 3) For definitions, please refer to the defined terms set out in the SRA Handbook Glossary 2012. These conditions are imposed having regard to the purposes set out in Regulation 7 of the SRA Practising Regulations 2011 and to the regulatory objectives contained in the Legal Services Act 2007 and the principles governing regulatory activities in section 28 of that Act." A woman driven to quit her job by the behaviour of her solicitor boss has been awarded compensation for unfair dismissal. An industrial tribunal ruled in her favour after finding that Bryn Higgott gave "vague and unhelpful" evidence. The tribunal also heard Mr Higgott's refusal to give Denise McLaren a reference had prevented her from getting at least one other job. And they heard that seven months after she left the Billingham firm, his continued allegations were still affecting both her health and chances of getting another job. Today Mrs McLaren welcomed the decision and said: "He made my life hell and is continuing to do so by unfairly withholding a reference." She was awarded pounds 12,234 by the tribunal but faces huge legal costs. Mr Higgott claimed he believed that when she left the firm, Mrs McLaren erased data and removed information - but the tribunal ruling stated it was "not satisfied there was any reasonable basis for those concerns". Mrs McLaren joined the firm's immigration department in 2001 and was to be put through a law course at Teesside University. She told the tribunal Mr Higgott undermined her by employing an assistant for her and then telling them to report directly to him. Mr Higgott also told Mrs McLaren that Louise Alvey, a worker in her office, had asked to be moved away from her. But Miss Alvey denied that and told the tribunal that Mrs McLaren had been supportive of her. Staff at the firm were asked to sign a "supplementary" contract with a covenant restricting their future employment. Mrs McLaren refused to sign the document, along with Miss Alvey, after they took legal advice. Mrs McLaren was then told she would not be allowed any future training, other than to fulfil legal requirements and that she would not be allowed to attend management meetings or allowed access to accounting or financial information. Mr Higgott also raised the targets for fee income for Mrs McLaren's department from pounds 13,000 to between pounds 16,000 and pounds 20,000, just a month after it was fixed. The final straw came when Miss Alvey resigned and Mrs McLaren was given conflicting information. She was told that she would not be replaced - and then on the same day that an assistant would be appointed, earning more than pounds 6,000 more than had been paid to Miss Alvey. Mrs McLaren told the tribunal she was under so much pressure she could not take any more, felt she could not win and resigned. The ruling said Mrs McLaren had been put under "extreme and unreasonable" pressure and a number of incidents amounted to a breach of contact by Mr Higgott and there was no contributory conduct on her behalf. Mr Higgott, who runs the legal firm, declined to comment." "Mr Bryn Graham Higgott is British. The first directorship we have on file for him was in 1991 at South Street Management Company (Scarborough) Limited. His newest directorship is with Albion Gaul Limited where he holds the position of "Consultant". The company was established 29 Jun 2009. So far, Bryn has held 18 directorships, 1 of which is currently active, and 17 are no longer active." "Albion Gaul Limited was incorporated on 29 Jun 2009 and is located in Cleveland. The company's status is listed as "Active" and it currently has one director. The company's first director was Mr Bryn Graham Higgott. Albion Gaul Limited does not have any subsidiaries." We don't currently hold data on Venturepoint Limited's incorporation details. The business has a status listed as "Dissolved" and it had 2 directors at the time it closed. Venturepoint Limited has no subsidiaries. "We don't currently hold data on Galatrade Limited's incorporation details. Its current status is listed as "Dissolved" and it had one director directors at the time it closed. Galatrade Limited has no subsidiaries." "We don't currently hold data on Gravy Train (UK) Limited's incorporation details. Its current status is listed as "Dissolved" and it had one director directors at the time it closed. Gravy Train (UK) Limited has no subsidiaries." "Sh Holdings (UK) Limited was founded on 27 Jun 2006 and has its registered office in Teesside. The organisation's status is listed as "Dissolved" and it had one director directors at the time it closed. The company's first director was Mr Samuel Henry Higgott. Sh Holdings (UK) Limited does not have any subsidiaries." "Cosmic Elf Limited was founded on 24 Mar 2004 and has its registered office in Swansea. The organisation's status is listed as "Dissolved" and it had one director directors at the time it closed. The company's first director was Ms Maria Bowbanks. Cosmic Elf Limited does not have any subsidiaries." "Higgotts Ltd was incorporated on 16 Jun 2004 and is located in Stockton On Tees. The company's status is listed as "Proposal to Strike Off" and it currently has 0 directors. The company's first director was Mr Bryn Graham Higgott. Higgotts Ltd does not have any subsidiaries." "Higgotts Solicitors Ltd was set up on 22 Sep 2004 and has its registered office in Stockton On Tees. Its current status is listed as "Dissolved" and it had 0 directors at the time it closed. The company's first director was Mr Bryn Graham Higgott. 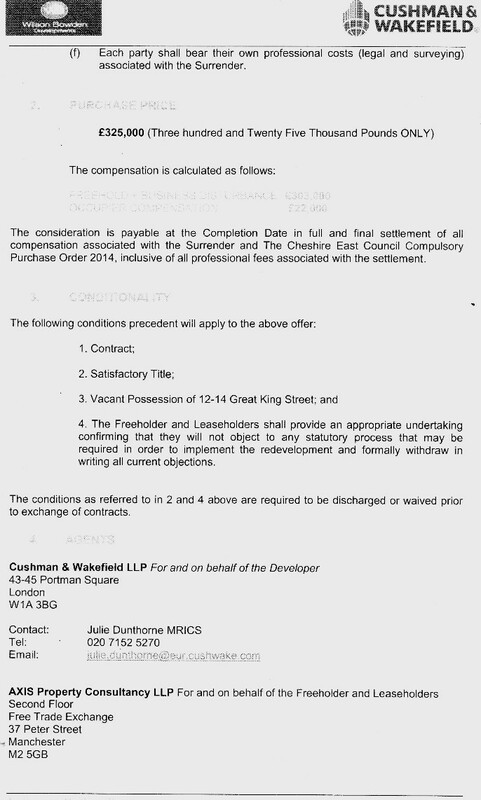 Higgotts Solicitors Ltd has no subsidiaries." "The Media Associates Limited was set up on 17 Apr 1986 and has its registered office in East Sussex. Its current status is listed as "Dissolved" and it had one director directors at the time it closed. The Media Associates Limited has no subsidiaries." "A.I. (Leisure) Limited was registered on 11 Jul 1996. The business has a status listed as "Dissolved" and it had one director directors at the time it closed. The company's first director was Mr Geoffrey Russell Atkinson. A.I. (Leisure) Limited has no subsidiaries." "We don't currently hold data on Jmtv Limited's incorporation details. The business has a status listed as "Dissolved" and it had 3 directors at the time it closed. Jmtv Limited has no subsidiaries." 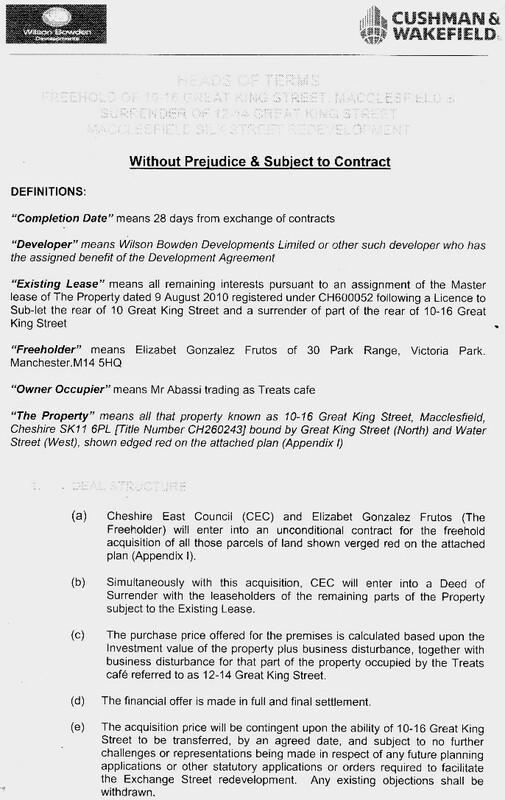 "We don't currently hold data on Esprit Properties Limited's incorporation details. Its current status is listed as "Dissolved" and it had 0 directors at the time it closed. Esprit Properties Limited has no subsidiaries." "Stratton Europe PLC was founded on 19 Aug 1991 and has its registered office in Cleveland. The organisation's status is listed as "Dissolved" and it had 0 directors at the time it closed. Stratton Europe PLC does not have any subsidiaries." Number 889 Bryn G Higgott. NANCY BONE, SOLICITORS, at both addresses.